Well, I am finally at the end of my EBS 5/basic sciences carrer. This road was not an easy one. I have had trial after trial and God helped me get through it. Apparently, my school didn't know that I was in my last semester. Due to this, I missed a lot of emails that were very important for my Maine semester. Luckily for me, I had wonderful friends who told me about documents/due dates and helped me straighten everything out before I was penalized. I will forever be greatful for them and the wonderful staff who was patient and understanding with me. Now on to classes..I took 3 this semester. I had Pathology M-F at 10am-1230pm, Pharmacology M-T and T-F at 8am-10am, and ICM at 130pm-330pm on T-F. This scedule was a very busy one because there was LITERALLY not enough time in the day to study. Not only that, we had tons of information piling on top of us daily. It was a balance between studying for all three classes, doing soap notes, hospital rotations, presentations, extracurricular activities, and Davenport (for me). It was similar to EBS 4, but with the addition of steroids lol!! I think I needed a B1 blocker several times througout the semester haha. Out of all the blocks, the third one was the real deal. At one point we had to focus on a block examination, then a presentation, then our ICM practical examination back to back. Let's not forget that each one is a big contributor to the final grade. This semester taught me balance. I mean, I was practically in scrubs every day ( like a doc), and had a lot of planning and balancing to do. I learned so much about my peers, a well as myself. I learned that sometimes while you're hard on yourself, someone else is looking up to you. Someone else aspires to be just like you and appreciate the amount of work that you've put in. My boyfriend always tells me that I am my worst critic. This semester really proved how harsh I can be on myself. As this year comes to an end, I want to learn to be accepting of flaws, and not always try to be perfect in everything. My flaws are what makes me perfectly imperfect...and that's okay. In the next year, I will love harder, be kinder, work smarter, thank Jesus more, and DESTROY STEP 1! Next Stop...Maine. I find it rather interesting that I am posting about EBS 4 at the end of my 5th semester. Lol. It's okay though, because the message will still get across. So, what happened in EBS 4? I can say the stress level was through the roof! The classes that I had to take were Neuroscience and Pathology 1, but man...the information was a lot! I believe the fourth semester is all about about teaching us the art of filling up our brains with a ginormous amount of information. This came in handy, especially for the fifth semester. Classes took place from 8am-950am M-F and 2pm-350pm M-F. In the beginning, I wanted to plan my day out accordingly because of the huge amount of time I had in between Neuro an Path, but it wasn't enough...honestly. I kinda felt myself falling behind due to the course load . The material wasn't difficult because I managed to tutor one of my friends in Path as well, but it was a moment that tested my mental strength. Although I was stress to the core ( and even cried a few times), I enjoyed every bit of it. The love that I have for this field is inexplicable. It is truly fascinating, and I am the student who is hungry for the knowledge. I absolutely loved EBS 4. The professors were amazing, especially my Neuro Proff. It's refreshing to have a professor who truly believes in your capablities, even when you doubt yourself at times. During undergrad, several of my professors didn't believe in me...although I was one of the hardest working students in the science building. It's okay because I use their disbelief as my fuel to keep pushing. I'm like a soldier charging right at you, and nothing can stop me, except for death. That's the only time I will stop pursuing my dreams. I can honestly say I'm a force to be reckoned with lol. This semester is a very demanding one! As a typical EBS student, I would have been taking epidemiology, physiology, and microbiology. Luckily for me, I am a transfer student, and took epidemiology during my first semester at UMHS. So far, I have learned a plethora of information from micro and physio. I remember speaking to the upperclassmen about ebs 2 and they told me that the second semester will be the hardest....boy was I naïve to believe that. How can that be the hardest? What about the 4th and 5th semester? I assume that it is the hardest because of the adjustment from ebs1. The first semester pretty much mirrors undergrad. The second semester is when the true work starts. So far, my favorite topic as an ebs 3 student is interpretation of the EKG. This is so complex, but I've been dreaming about the day when I'm able to understand what each scribble meant lol. I find myself googling random EKGs, just so that I can try to interpret them...haha I know that I am a dork :). Post ebs 3, I was supposed to take a trip to Nicaragua to help in the hospitals. This would have been a great form of clinical exposure since there's a limitation of rare diseases in the United States. Unfortunately, only one person signed up, and we needed a minimum of 15. I used this moment to plan a surprise my boyfriend for his birthday (so I thought). I wanted him to utilize his vacation days during my visitation, without him knowing. I tried to reach out to his co-workers, but it was very difficult. Eventually, I had to tell him. Yes, he was ecstatic, and immediately requested those days. I was happy, but not as much because it was supposed to be a surprise. Oh well, life goes on right? So we planned our trip for Miami this time (before was Atlanta). The last trip was so amazing that he was convinced to move out there after residency ( please Lord). I received some great news that a few UMHS students were doing their clinical rotations at the well-known Grady Hospital. I'm not exactly sure what they are doing, but I'd hope it's trauma or emergency medicine because that hospital is known for having that type of atmosphere. Anyway, this journey through medicine is not a sprint, but a marathon. As my mother always said, " The race is not for the swift, but those who endure it". This update is well overdue. My last post was about my entrance into UMHS, pretty much the day before classes begun. The first few days of classes went well. I took Cell Biology, Ethics, Behavioral Sciences, and Epidemiology. That schedule wasn't too bad, because it gave me enough time to focus on my Davenport courses as well. I was so excited to start school at UMHS, but it really hit me hard when I had my second white coat ceremony. I thought to myself "Wow, I'm really starting over again". Not only that, but my parents weren't there to support me. As happy as I wanted to be, I couldn't. Seeing fresh faces at the ceremony only reminded me of my past encounter with MUA and the journey that I started with a set of new people. Sometimes, things happen for a reason. At least, that's what I kept telling myself. I was trying to apply a Band-Aid to the open wounds that I had. My biggest supporters that I wanted to be there, could only watch from a screen miles away. It would have been nice to hug and kiss my family after walking across that stage. It would have also been nice to pose for a picture with the dean, while my mother tried to fit in as many images as possible. It's the little details that are most memorable, and that is what I needed on that day. In the end, I managed to pull it together because I knew that I was there for a purpose and I made me a stronger person. I was also able to meet wonderful people along the way. People who I could eventually call family soon. For all of my non-Spanish speakers, the word mean dancing. Life can be extremely stressful on a daily basis. Everyone knows that. The difference is, how you deal with that stress. Are you the type of person to accumulate anxiety? Or are you the type to just go with the flow? Sometimes it's best to just dance away the pain. Life is what you make it. Sometimes we are faced with challenges that make us feel overpowered, or defeated. At this point, only two things are possible. Either you keep your face downwards and accept your fate, or make a change. Changing means that the fight will alter the final destination because we are in control of it. One million people might tell you no, but as long as you receive one yes from God, then that's all you need. So keep dancing. 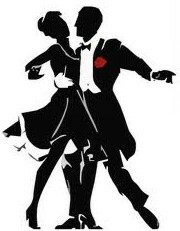 Dance the night away, and while you're at it, enjoy the stars above because one day, you will shine just as bright. Hello everyone! I know that I haven’t been on here in a while but I am back…I had orientation for 3 days, which is completely different from MUA. The school had a lot of topics to discuss, which is understandable. One thing I can say is, they really know how to add the WOW factor and impress the students. At least, I was impressed lol. We were on a trip called CATAMARAN ( I think that’s how you spell it) and had a huge meet and greet with other students and faculty. The school rented out 2 beautifully designed yachts and sailed the Atlantic Ocean. We reached our destination at this type mountain cliff that was isolated from its surrounding. It is tad difficult to explain. Anyway, once we arrived, we jumped out the yacht into 18ft of beautiful crystal clear water. I was extremely nervous because well…..It’s the freaking Atlantic Ocean!! I overcame my fear and was able to grab my snorkeling gear and swim around. Once I submerged my head under water, the sight was a beauty that could not have been put into words. I was able to view a wide spectrum of fishes in their natural habitat…WOW. Not many people could say that. I will forever remember and cherish this experience. On to the next day…. How do we define success? This is a question that we must ask on a daily basis. If we settle for only one definition, then there is no room for flexibility. I like to compare success to an elegantly decorated plate. The chef is given bland food, such as chicken, rice, potatoes, fish etc. What makes his food stand out from his competitors, is what he does with the recipe. Sometimes adding a little bit of zest can make a huge difference in the product. We can apply this to our daily life, no matter the route we take. Don't be bland! Sometimes it's good to be different! The big difference between successful and nonsuccessful people are the choices they make. They weren't afraid to step out of the box and try something new. 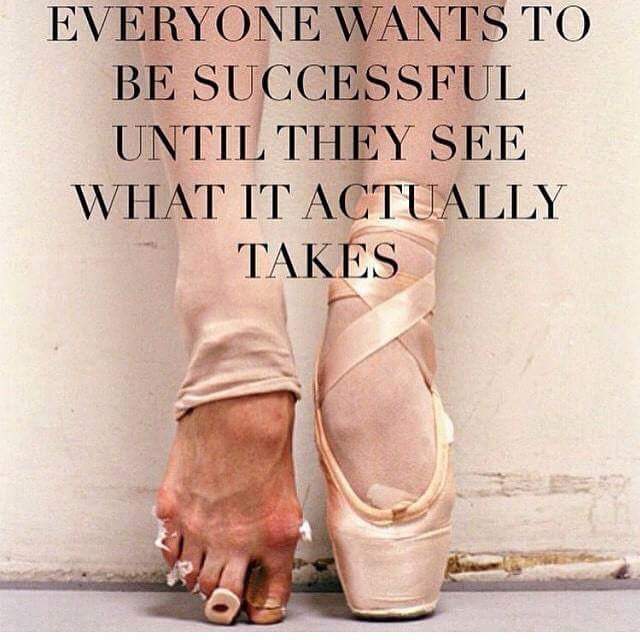 Sometimes society can forcefully mold your definition of success, and make it difficult to achieve longterm goals. We often associate the definition of success with wealth and popularity status. That may not always be the case, and it shouldn't discourage your outlook on life. Yes, it is intimidating at times but stay focused. People need to figure out their definition and spice it up. Understand the term on a basic level and grow from there. It can be walking a mile, getting a raise at work, or even passing a class. Whatever it may be, NEVER stop learning, and NEVER stop your hustle. Wow! I finally created my blogsite....and it gave me so much hell! As stated in my mini introduction, the primary reason is for Medical School. I wish that I could've started sooner, but you know how life goes right? Haha. I guess I should give a little but more detail about myself and the journey so far. I am 22 years old and graduated from Bethune-Cookman University in May of 2014. Ever since high school, I knew that medicine was the field for me but was a bit nervous for the next step.... college. This burning passion was always there, but the road wasn't easy. During freshman year, I struggled a bit with general biology. I knew the material based on memorization alone and that damaged me severely. I asked my professor about other sources that could help me in the classroom, but he simply told me to change my major. He stated that I wasn't strong enough for this field and maybe English or Criminal Justice would be better. What people don't understand is, the science community is very hostile and competitive. If an individual doesn't understand the material, it is frowned upon and definitely destroys the self-esteem. Instead of frowning, I used this as a motivational statement. I didn't want someone to define me or my passion. I love this field so much that I continued to pursue pre-med and 4 years later, I graduated with a Bachelors of Science in Biology and a minor in Chemistry. I proved to myself that the definition of success is what I live on a daily basis. I had sleepless nights for years because I wanted to become a great candidate for Medical School. In the end, I was, and that same professor wrote a LOR for medical school because he believed in me. God is good! I decided to take a semester off before school started in May. In the meantime, I have been focusing on my MBA in Healthcare Concentration. I decided to pursue a dual degree program because we need more physicians whom are able to step out of their comfort zone, which is science. We've been so comfortable that nothing else matters. I want to use my degree to hopefully open a hospital in an underserved area. We have a short supply of physician today, and that number will triple by the year 2025. Apart form the shortage of physicians, there is also a shortage of hospital beds. I've personally seen doctors treat patients in the hallway or waiting room. I want to help fix that problem by building my own facility. With this degree, I will be able to do so. Hello! 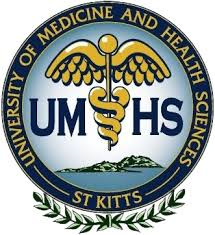 My name is Aprylle Thompson and I am a medical student at the ﻿University of Medicine and Health Sciences in St. Kitts. I started this blog to document the journey throughout my medical career. I hope to inspire at least one person with my blog. Then, I have fulfilled my task. Enjoy!